GQA Qualifications: New Addition to the GQA family. New Addition to the GQA family. 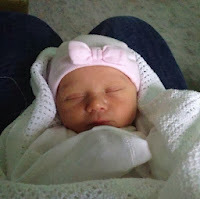 GQA would like to congratulate Amanda Fearnehough (Systems Supervisor) and her husband James on the safe arrival of their daughter, Betsy Mae Fearnehough born on the 2nd December weighing 7lb 2oz. All our very best wishes for the future.